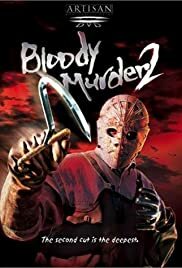 I enjoyed this movie as a slasher not top rate movie film. There where however a few details that bugged me a bit. When Tracy is taking the shower you notice that she never took her earrings out. I don't know to much about jewelry as have never had earrings but I kind of assume that when you take a shower you would take them out? One other area was after they saw all these killings the girls still decided to split up. Also after one death had just been confirmed if I was the one running camp knowing what had previously happend I would immediately close the rest of the camp not wait around until more problems happend. Overall this is a decent movie but not one I will watch more than once.